The Bible is a great source of daily wisdom, spiritual growth, and historical accounts. In it are a lot f surprising things: dinosaurs, ghosts, and witches. As the verse above shows, there were indeed "psychics" in the past. I say were, because while there still may be some authentic speakers-to-the-otherside these days, in fact, most so-called mediums are actually Extra Large Frauds. In the old days, mediums chatted up unseen spirits, or submitted to possession, to gain special knowledge of future events. As time went by, however, the "profession" changed. In the 1990s, Youree Dell Harris started working for the Psychic Readers Network. YOu might remember her as "Miss Cleo". Harris appeared as an infomercial psychic, claiming she was a mystical shaman from Jamaica. PRN also claimed on their website that she had been born and raised in Trelawny, Jamaica. If you don't remember how it worked, callers dialed up the PRN and had pschic readings over the phone. That's quite a leap from palm-reading or holding hands in a dark, candle lit room as so many did in the 1800s. In 2001, Access Resource Services (doing business as Psychic Readers Network) was sued in Arkansas, Illinois, Indiana, Kansas, Missouri, New York, Oklahoma, Pennsylvania, Wisconsin, Florida, and by the Federal Communications Commission. In 2002, the company was charged by the Federal Trade Commission (along with company owners Steven Feder and Peter Stotz) with deceptive advertising, billing, and collection practices. A settlement was reached wherein the Psychics erased $500 million of debt from gullible victims. ARS was also fined $5 million. You see, Miss Cleo, along with her employers, was a complete fraud. She didn't have any psychic powers. No demonic creatures took over her body or whispered supernatural secrets in her ear (the one not pressed against the phone). Cleo was actually born in Los Angeles and raised in a Catholic Caribbean family. She attended an all-girls boarding school. After marrying at age 19, she gave birth to a daughter, then divorced at age 21. She later had a second daughter. In 1996, she and a partner opened a theatrical production company in Seattle Washington. Her final production in Seattle, in 1997, ended dismally, with some of her cast members claiming to have never been paid, and reporting Harris had claimed to have bone cancer. She even was alleged to have used her imaginary condition as an excuse for not paying anyone, claiming to have excessive medical bills. Miss Cleo is not alone in the fraudulent fortune telling business. 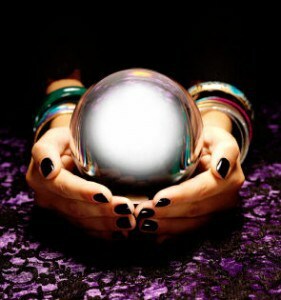 In 2016, in Mentor, Ohio, a psychic studio owner, Gina B. Miller, was indicted engaging in a pattern of corrupt activity, five counts of aggravated theft, six counts of grand theft, two counts of theft, one count of identity theft, 10 counts of telecommunications fraud and three counts of securing writings by deception. Miller was alleged to have stolen more than $1.5 million from eleven victims. It was further alleged she had threatened her victims' families if she was not paid. 2002, California--two self-described psychics were indicted on Federal mail fraud charges after persuading people to pay them to be cleared of bad karma. 2006, Connecticut--two psychics tell a woman God was going to kill her unless she paid them to perform various rituals on her behalf. 2013, New York City--con artists running the bujo scam targeted Asian immigrants, infliting "curses" designed around Chinese folk religion on their victims. The list goes on and on, but the point is clear: Fortune telling is more fraud than Fortean in our modern era. The idea of the fortune teller being a seedy criminal is so pervasive and long-lasting it continues to inspire works of fiction embracing the concept. Despite the obvious evidence that these occult observers are more charlatan than clairvoyant, people will continue to flock to them, desperate to catch a glimpse of what the future may hold. And that is far more mysterious than any medium could ever hope to be.